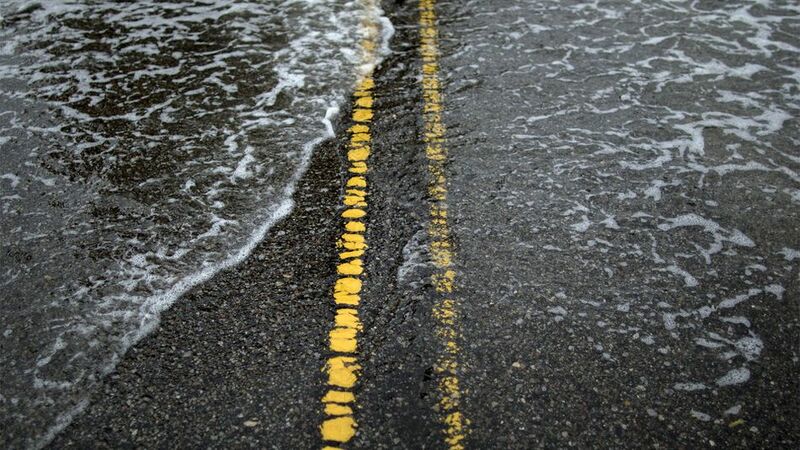 The new research sheds light on just how unusual modern-day sea level rise is, and how climate change is sending the sea lapping up and over our walls and onto shoreline roads, homes and businesses. The first major report published Monday shows that human-caused climate change has prompted the fastest rate of sea level rise than any in at least the past 2,800 years. Even greater water rises are slated for the future as mountain glaciers and polar ice caps melt and ocean waters continue to heat up and expand. The study confirms (again) the relationship between temperature and sea level, showing that the two are highly correlated, as are temperature and carbon dioxide levels. The study is the first to use so many regional sea level rise reconstructions, along with modern tide gauge data, plus other techniques, to identify the human fingerprint from about 3,000 years of sea level rise. "There have been previous studies of former sea levels, but we were the first group to produce continuous global record of former sea levels," said study co-author Ben Horton of Rutgers University, in an email. 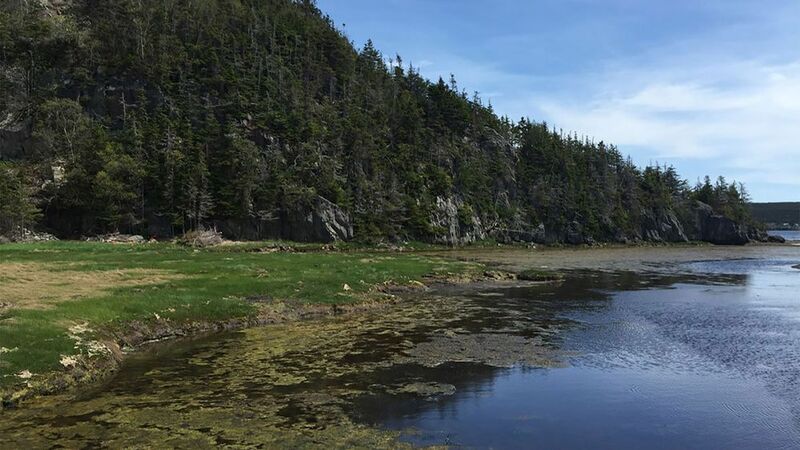 "We have sites from the northern and southern hemisphere and we include proxy records from salt marsh, mangroves, corals, biological indicators and archeology." The researchers, from institutions in the U.S., Europe and Asia, found that less than half of the observed sea level rise in the 20th century would have occurred without global warming. In fact, it's possible that global sea levels would have fallen slightly, by up to 3 centimeters, during the past century, were it not for global warming, the study found. Study co-author Robert Kopp, who is the associate director of Rutgers University's Energy Institute, told Mashable that the study helps validate the findings and predictions of the U.N. Intergovernmental Panel on Climate Change, but that there is still the risk that sea level rise from the sudden and unforeseen collapse of the giant ice sheets of Greenland and Antarctica could bring nasty surprises. "The bottom line for me is: while our sea-level rise projections are improving, the ice-sheet response to global warming remains an area of what risk analysts call ‘deep uncertainty,'" Kopp said in an email. "The probability distributions for sea level rise offered in this paper and in our previous work ... are among the best available estimates of the probability of different levels of sea level change. But there is an indeterminate but non-zero probability that these probability distributions are excessively conservative, particularly toward the end of the century and beyond," Kopp wrote. Indeed, another study, also published in the PNAS on Monday, found that the Antarctic ice sheet was extremely sensitive to fluctuations — even relatively small ones — in atmospheric levels of carbon dioxide during a geological epoch known as the mid-Miocene, which was about 23,000 years ago. For this study, scientists decoded the messages contained in an ice core drilled deep into the Antarctic ice sheet, and found that the ice sheet retreated significantly during the early- to mid-Miocene, when carbon dioxide levels fluctuated between 280 and 500 parts per million. This is worrisome, because the mid-Miocene was the last time global mean surface temperatures were about 3 to 4 degrees Celsius, or up to 7.2 degrees Fahrenheit, milder than they are today, and atmospheric carbon dioxide levels were comparable to today's levels. This year, atmospheric carbon dioxide levels exceeded 400 parts per million for the first time in human history, and are still rising fast. A separate analysis, from the research and journalism group Climate Central, took the human fingerprint on sea level rise from the PNAS study and other recent peer-reviewed research to drive home the point that global warming-related sea level rise is not just a concern for the future. Sea level rise has already caused the frequency of flooding events, particularly "nuisance" floods that don't cause severe damage but are costly to the economy over time, to become far more common in many parts of the U.S., the study found. The Climate Central analysis relied on hourly water level records from 27 different tide gauges at U.S. coastal locations. Researchers took out the human-caused component in global sea level from the water level records to create a history of what water levels should have been absent any global warming-related sea level rise. The analysis found that we have quietly slipped into the era of coastal flooding induced by sea level rise, with manmade global warming tipping the balance to push water levels over coastal flooding thresholds. Specifically, the Climate Central report found that out of 8,726 days when unaltered water level observations exceeded National Weather Service local “nuisance” flood thresholds for minor impacts, such as flooding of coastal roads, 5,809 days would not have exceeded those thresholds if the global warming component were removed. In other words, about two-thirds of the 8,726 total flood days identified in this report could be said to be human-caused due to climate change. For example, in Annapolis, Maryland, the study found that the number of nuisance flood days have increased from 193 to 701 days between the 1951 to 1984 period and the period from 1985 to 2014. That works out to an increase of 508 nuisance flood days. 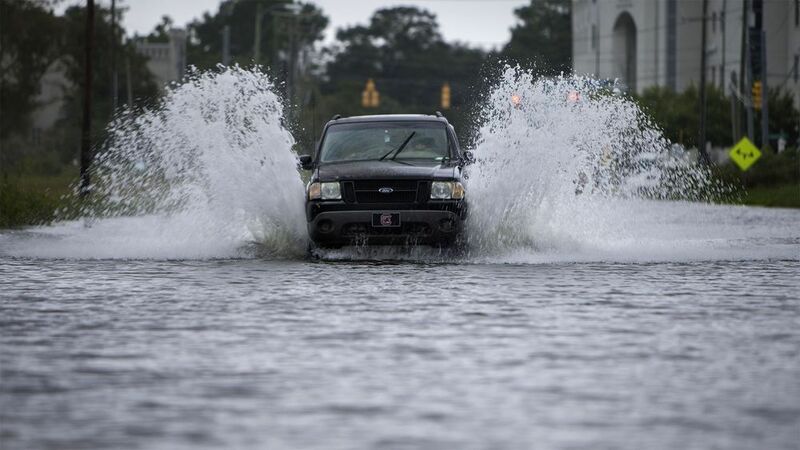 The study found that about 394, or nearly 78%, of these flood days would not have occurred if it weren't for global warming-related sea level rise. The problem is only going to get worse from here, said Ben Strauss, Climate Central's vice president for sea level rise and climate impacts. 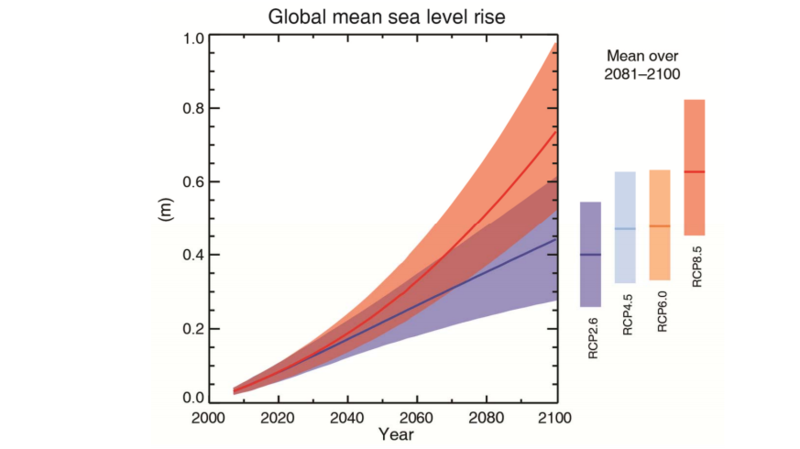 Global sea level is projected to increase by up to 1 meter, or 3.3 feet, by the year 2100, with continued increases for centuries beyond that even if greenhouse gas emissions were to cease in the near future. "We are only inches into our sea level rise problem, and high tide flood rates are already spiking in places," Strauss said in an email. "As we head toward multiple feet of rise this century, the problem is only going to accelerate, and human fingerprints are all over it." 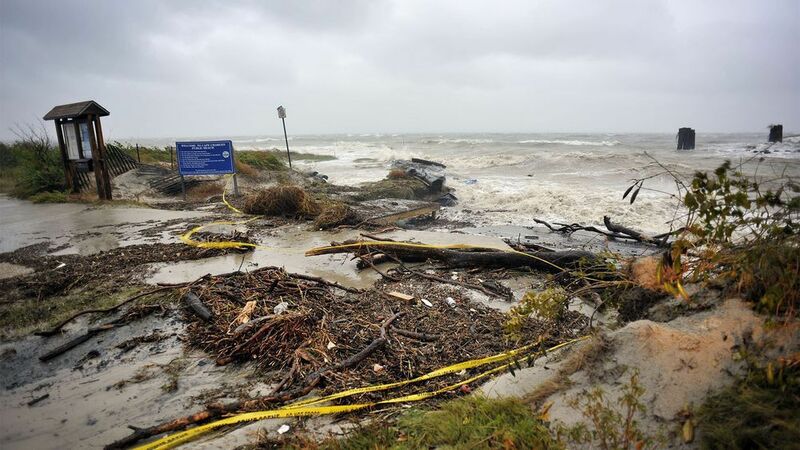 The Climate Central report, which Rutgers' Kopp co-authored, found that within the past decade, at sites along Florida's Atlantic coast and Keys, as well as West Coast locations including San Diego and Seattle, more than 90% of observed flood days would not have occurred if it weren't for the manmade component of sea level rise. "There are human fingerprints on thousands of recent floods," the report states. The Climate Central report does have some important caveats, however. It makes one sweeping assumption, which is that the manmade component of sea level rise across the U.S. is the same at every location and is equal to the global rate of sea level rise. In reality, sea level trends considerably from place to place depending on factors including ocean currents, the sinking of land and other factors. In addition, the study has not been published in a peer reviewed journal, although it is based at least in part on research that has. Strauss co-authored a peer-reviewed study in 2015 that found that steep cuts in greenhouse gas emissions could lessen the threat that sea level rise poses to iconic American cities during the coming centuries by more than half. By contrast, if emissions were to follow a so-called "business as usual" trajectory, between 14 to 33 feet of global average sea level rise would be locked into the climate system, submerging land that is currently home to between 20 and 31 million Americans, including in more than 20 cities with populations of 100,000 or more, as well as the majority of residents in many smaller cities, the study found. That study found that the world is already likely to see 1.6 meters, or about 5.2 feet, of global sea level rise compared to the present level, because of the cumulative greenhouse gas emissions through this year alone. Such a total sea level increase, however, would play out over many centuries.